Specific Gravity Hydrometer Calibration is the apparatus, which is used to measure the density which is easy to operate and maintain. Our calibrations are highly appreciated for their features like voids analyses of density and flow tests of stability. Further, these density calibrations are highly appreciated by our clients for its features like resistant to corrosion, long life, highly durable, cost effective, high performance. Since our foundation, we are engaged in presenting an outstanding quality array of Specific Gravity Hydrometer Calibration. 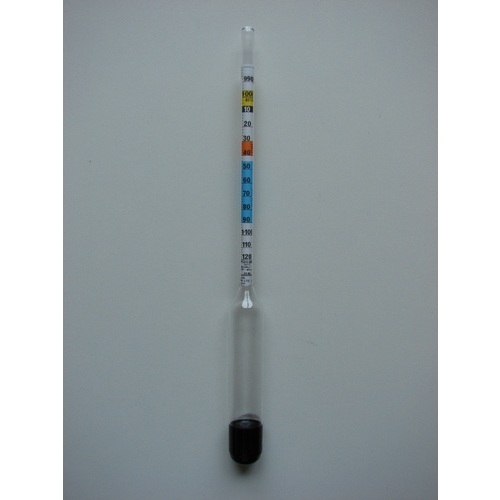 The offered hydrometer is used in several mechanical and hard industries. It has perfect built-in calibration knob to help clients measure effortlessly. Also, the calibration we provide meets ISO standards and it is traceable to NABL. Besides, clients can get the calibration from us at cost effective prices. Looking for “Specific Gravity Hydrometer Calibration”?